The fast growing trees of a region are most often the native trees since these trees are most adapted to the specific climate of the region. The Pacific Northwest is home to the world’s largest stands of coniferous trees like spruces, firs and redwoods. These and other native trees cover the islands and the coastal slopes in the Pacific Northwest region from Oregon to Central Alaska. The Pacific Northwest has 134 native and naturalized trees. The fastest growing trees of the region include the pacific silver fir, native spruce, Alaska cedar, the common juniper and the redwood trees. The pacific silver fir or Abies amabilis is also known as the lovely fir. The tree gets its name from the silver undersides of its leaves which give the foliage a feather like appearance. The tree bark is also a silver color and as it ages it develops scales. The tree grows along the coast between southern Alaska and Northern California in wet and shaded forests. The cones grow upright and are deep purple in color. The silver fir reproduces from seeds and germination occurs on rotten wood, moss, and mineral and organic soils. The seedlings are hardy and resist the pressures of heavy, wet snow and litter. The tree reaches a mature height of 60 to 80 feet. After the initial couple of years the trees grow at a rapid rate of up to 35 inches per year. The incense cedar or Calocedrus decurrens is a fast growing native evergreen of the pacific northwest. The tree reaches a mature height of up to 90 feet and is scattered in the mid to high elevations of the Oregon cascades and California. 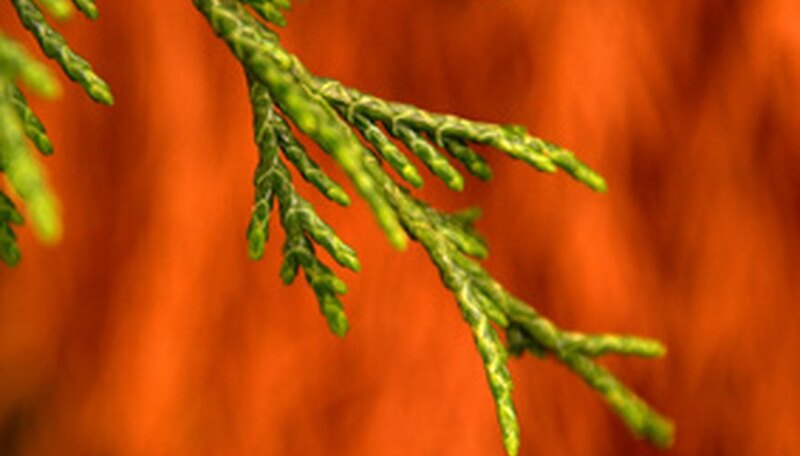 The incense cedar is very hardy and can tolerate extreme moisture and cold. However the trees grow best in areas that get summer drought. The foliage is dense and flows to the ground. The bark is scaled and reddish brown; the cones are small with six scales. The fast growing nature makes it an ideal choice for hedges and screens. It is also used along borders and driveways. It is easily pruned to a more manageable height and attracts wildlife. The common juniper is a fast growing conifer that reaches a mature height of 6 to 20 feet. It grows larger in the lower elevations and has a straight growing habit. The trees grow very well when planted in full sun and in a well drained soil. The trees are highly draught tolerant after they are well established. The trees start to bear berries after three years of age. The berries are commonly used to flavor gin. The reddish brown bark of the tree and its needles were used in traditional Native American medicine for the treatment of upper respiratory tract infections. The trees are easy to grow and are highly adaptable to most soil and weather conditions.